When the temperature rises, your sweat glands (some 2 to 4 million of them) spring into action, making perspiration. Sweating is your body's natural way of keeping you cool. Some sweat evaporates from your skin, taking heat with it. The rest runs down your face and body. You feel hotter when it's humid because the wetter air leaves less room for the sweat to evaporate off your body. When you're angry and reaching your boiling point, your body releases stress hormones that boost your heart rate and blood pressure and raise your body temperature, which can lead to sweating. Anger is a healthy emotion once in a while, but regularly losing your temper could signal a problem. Breaking a sweat is one way to tell that you're getting a good workout. Because you lose fluid when you sweat -- especially when it's hot -- you need to stay hydrated. Remember to drink water before you exercise, during your activity, and after you're done. This will help your body temperature and performance, too. Anyone who's missed a big work deadline or choked in front of an audience knows how stress, anxiety, and embarrassment can make you sweat. Emotional stress targets the sweat glands in the palms of your hands and soles of your feet, which is why it can be uncomfortable to shake hands when you're nervous. 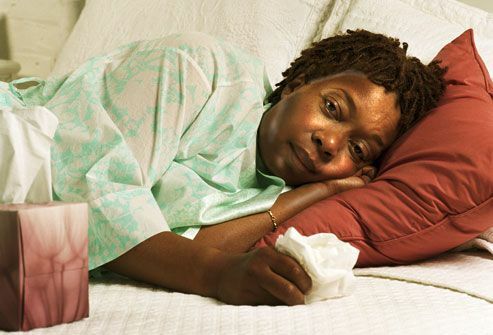 Often when you're sick, your brain raises your body's thermostat a few degrees. You'll feel cold and have chills as your body tries to make a less welcoming place for germs. After your fever breaks and your thermostat resets itself to normal, you’ll feel hot and start to sweat. The sweat helps to cool you off to around 98.6 degrees again. You don't have to have a fever. 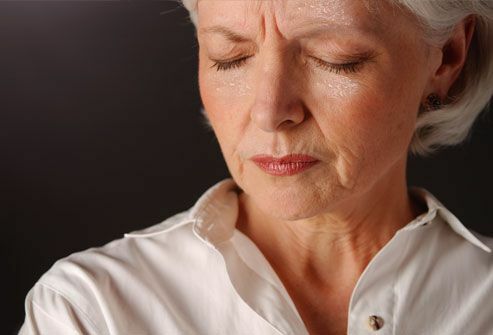 Sweating can be a symptom of heart-related chest pain, called angina, and a heart attack. Infections, diabetes, and an overactive thyroid gland can also open the floodgates. Some diseases, like cancer, tuberculosis and HIV, may cause night sweats. If you're sweating a lot and concerned about it, see your doctor. That morning cup of joe will do more than wake you up. 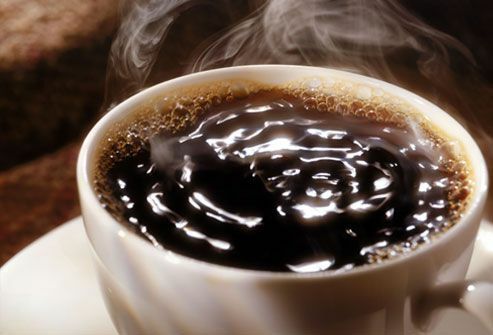 Coffee triggers perspiration in two ways. First, caffeine activates the central nervous system, turning on sweat glands (the more caffeine you drink, the more you sweat). 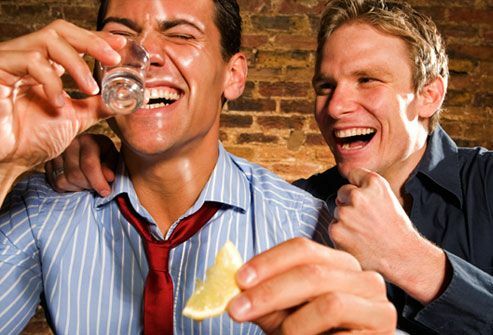 Second, the heat from the drink itself can make your body feel hot enough to sweat. When you bite into a double-jalapeno burrito, why does it feel like a four-alarm fire has just erupted in your mouth? 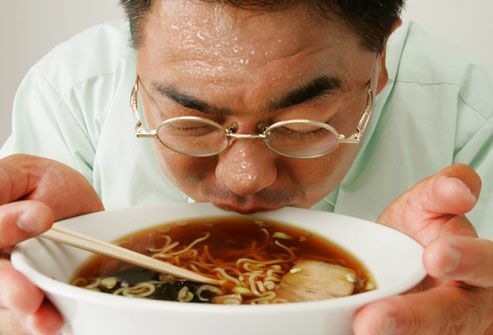 Spicy foods fool your body into thinking it's hot by setting off the same nerve receptors that respond to heat. That's why a plate of hot wings or bowl of spicy soup can make your tongue sizzle and your face bead up with sweat. During menopause, plunging estrogen levels play tricks on the hypothalamus -- the body's temperature gauge. No matter how frigid it is outside, a hot flash will make your body think you're in the middle of a heat wave. In a desperate attempt to shed excess heat, the blood vessels in your skin widen and your sweat glands go into overdrive, leaving you feeling flushed, sweaty, and yearning for a cold shower. You can usually tell right away when someone's been throwing back a few too many drinks. He's wobbly on his feet, slurring his speech, and his face is flushed and sweaty. 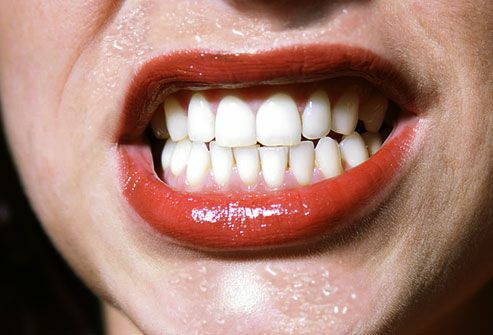 The sweatiness is due to an effect called vasodilation -- widening of the blood vessels in the skin. 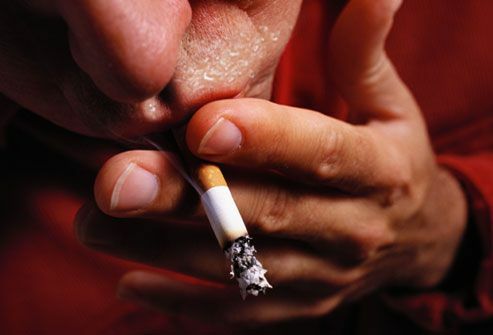 Here's another reason to stamp out that cigarette: Nicotine tells your body to release the chemical acetylcholine, which turns on the sweat glands. It also raises your heart rate, blood pressure, and body temperature. Nicotine withdrawal also causes excess perspiration, but if you can sweat it out long enough to kick the habit, you'll lower your odds of getting cancer, emphysema, and dozens of other diseases. 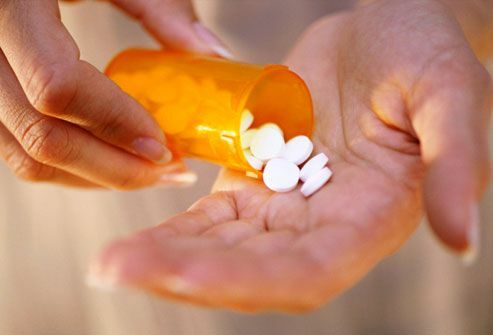 Though they're meant to make us feel better, some medications can cause their own symptoms. 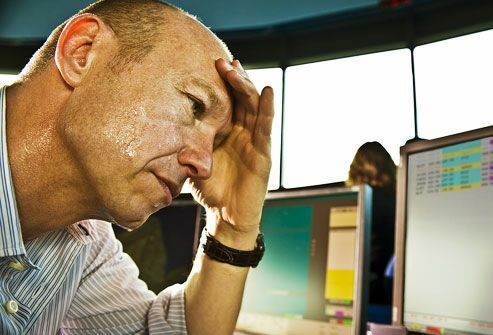 Sweating may be a side effect of many drugs, including some antidepressants, nonsteroidal anti-inflammatory drugs (NSAIDs), blood pressure medications, cancer treatments, and diabetes medicines. If your medication is making you too sweaty, talk to your doctor about changing your dose or switching to another drug. You might feel like you've lost your head, but falling in love actually starts in your brain, with a rush of adrenaline-like "love chemicals." These are responsible for the racing heart, sweaty palms, and other telltale physical signs that you're smitten. Hormones surging through your body and a faster metabolic rate can make you hotter than usual and make your sweat glands more active. 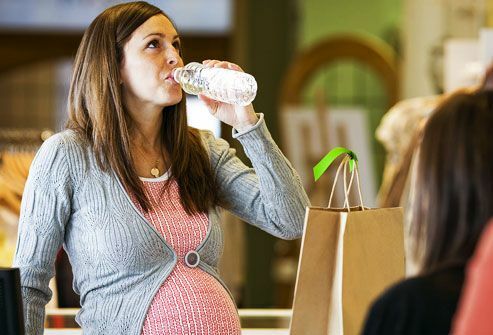 Be sure to drink enough water during those 9 months to keep you and your baby hydrated. After the little one arrives, you'll keep sweating for a few weeks as your body sheds the extra fluid it hung onto while you were pregnant. Children, Youth, and Women's Health Service. Collier J. Oxford Handbook of Clinical Specialties, Oxford University Press, 2006. Gabrielli A. Civetta, Taylor and Kirby's Critical Care, W. W. Norton & Company, 2008. Goldstein D. Adrenaline and the Inner World, JHU Press, 2006. Hoffmann, R. Ask the Pharmacist, iUniverse, 2005. Kamei, T. Aanlytica Chimica Acta, June 5, 1998. Krychman M. 100 Questions and Answers About Women's Sexual Wellness and Vitality, Jones & Bartlett Learning, 2009. McArdle, W. Primary Care Medicine, Lippincott Williams & Wilkins, 2006. Murphy, S. Run for Life: The Real Woman's Guide to Running, Globe Pequot, 2004. Pargman, D. Managing Performance Stress, CRC Press, 2006. Pease B. Why men don't listen and women can't read maps, Random House, Inc., 2001. Swift R. Alcohol Health and Research World, 1998. Weber J. Health Assessment in Nursing, Lippincott Williams & Wilkins, 2009.